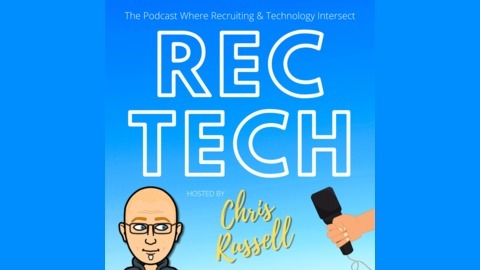 Hosted by Chris Russell, online recruiting's mad scientist, the RecTech podcast covers all aspects of recruiting technology and recruitment marketing including interesting new tools & vendors. You'll also hear how recruiters leverage technology to find talent. 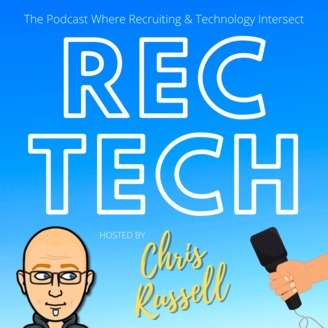 A great listen for HR tech vendors, HR professionals and recruiters everywhere. CONTACT: chris@rectechmedia.com. This latest round of investment brings its total capital raised to $60.5 million and underscores Hireology’s momentum and position of strength in the market. Funds will be used to accelerate the company’s growth in new market verticals and to create features that further differentiate its product offering. Hireology has experienced sustained, rapid growth, recently surpassing 6,500 customers and 200 employees. New recruitment marketing and candidate CRM solutions have transformed how customers attract, hire and integrate talent in today’s competitive hiring market. This spring further saw the release of new functionality including enhanced SEO capabilities, text-to-recruit options and passive sourcing solutions. Spur, a new and innovative employment platform that redefines the relationship between hourly workers and employers who depend on them, announced today that it raised $8 million in a Series A funding round led by Third Prime with participation from Mark Bezos and John Griffin, founder of Blue Ridge Capital. Spur also appointed Bezos to its Board of Directors. This investment marks one of the largest venture rounds ever raised by an Alabama-based company. Spur is addressing a significant market opportunity in the hourly worker economy, which is comprised of approximately 78 million workers or nearly 60 percent of all American jobs. Spur’s platform offers workplaces such as hotels, restaurants, and other businesses with hourly workforces a managed solution for all their employment needs that saves them time and money, while also improving the benefits and services available to the workforce. Spur’s platform combines innovative employment technology with a focus on managing hourly workforces. Spur becomes the official employer of record of a business’s hourly workforce thereby helping them reduce costs and save time by eliminating all HR and payroll functions. Businesses using the platform simply schedule their employees and approve their time through Spur’s app, and then Spur’s platform takes care of everything else. San Francisco startup TripleByte which uses coding quizzes and machine learning to match would-be employees with open jobs has raised $35 million in a Series B financing round led by YC Continuity, Y Combinator’s investment fund. After a year in which revenue grew three times (over $1 million monthly) and headcount doubled from 20 to 40, it’s attracted funding from a raft of investors including Y Combinator. Harj Taggar, CEO and cofounder said that the fresh funds will enable Triplebyte to expand beyond silicon valley into Los Angeles, New York, Seattle, and Boston later in the year. Uncubed, a leading online talent acquisition and recruitment marketing platform, has announced the acquisition of New York-based Mediabistro, the premier careers site for the media sector and other digital professionals. Following the acquisition, Uncubed will provide new services and an expanded offering to the Mediabistro customer base, including employer branding video services, customized recruiting services, candidate experience technology, and events. Mediabistro members and jobseekers will get access to additional content and job opportunities. Mediabistro will bring complementary jobseeker talent to the Uncubed network, which has traditionally been weighted towards software developers, data scientists, product managers, and others. With the Mediabistro community comprised largely of content creators, designers, and marketers, Uncubed will be able to provide a complete array of skillsets to customers. Uncubed intends to operate the Mediabistro site independently, yet members of both communities will benefit from increased access to editorial and skill-building content, a wider set of job opportunities, and the candidate matching technology that Uncubed continues to develop. London based Learning Technologies Group plc (LTG), a provider of integrated talent management and learning technologies software and services, has announced the acquisition of Breezy HR in Jacksonville, Florida. The addition of Breezy HR to LTG’s best-of-breed talent and learning businesses is expected to further consolidate the Group’s position in the talent acquisition marketplace, extending its existing enterprise client base to include a new small to medium businesses audience. This move builds on LTG’s acquisition of PeopleFluent in 2018, which introduced transformational talent management capability into the Group. Jim Stroud: Robots Will Not Replace Recruiters!